different kind of experience possible: a saunagus. My first reaction was: but what is a saunagus? 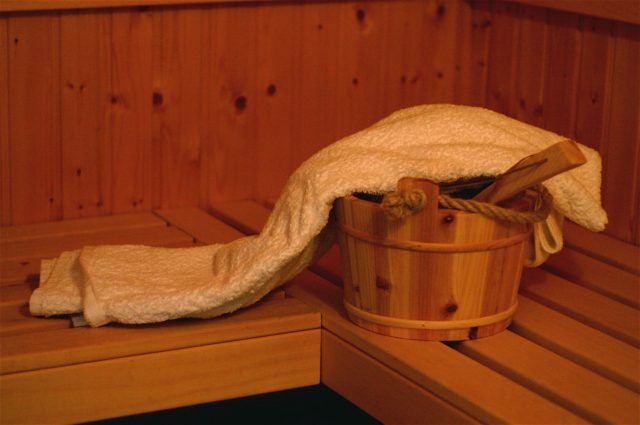 Saunagus refers to the use of aromatherapy oils as part of the sauna experience, where besides water being thrown onto the hot coals to bring up the temperature, aromatherapy oils are also added, in the process vapourising the oils to reach your senses. Michael and I tried this experience at Humlehoj on a Tuesday evening. We arrived a bit before time to be directed into the pool from the side door, we paid our 50 DKK and were directed to the showers to get changed into our swimming suits ready for the experience to begin. The experience consists of 3 sessions of 10 minutes each, each with their own aromatherapy oil. When we went we started with ginger and lavender, then elderflower, and finished with lemon grass. During the 10 minutes the saunagus leader adds water and oils to the coals and then swirls towels or a fan around the room, helping the hot vapours to reach the participants. At points a sprinkling of cold water is also offered. When the 10 minutes are up you then can go outside, cool down under the shower heads and also jump into the pool. If you ask me how the experience was, I would say: HOT! As a beginner I could feel the temperature, but sitting on the lowest step helped. Most of the others when we went there however have been there many times and enjoy the high temperatures. Each mini-session being limited to 10 minutes also meant that it didn’t get too much, although if that is the case you can easily leave the sauna to cool down a bit. Another thing I would say would be that the experience felt surprisingly indulgent, especially for 50 DKK! The atmosphere is very relaxed and friendly. The pool is darkened and illuminated with under-water lighting. You also get little treats along the way, but I won’t spoil the fun there. I guess for 50 DKK I expected just the bare bones. I can definitely see this being something I would do with my friends for a relaxing evening together, or when my mother comes to visit, or on another occasion with Michael. If I had to remember anything I think for next time I would take an exfoliating cream to apply between sessions as some of the other more experienced saunagus-goers had. If you’re interested first of all look at the Humlehoj hallen webpage to check when the sessions are. The dates seem to change every month, but there are typically 2 sessions a week. Do send a text to the number on the webpage, or an email to Humlehoj hallen to book in advance. On the day we went the saunagus was full, and people trying to book for upcoming dates found many dates booked. Once you’re booked just go there and enjoy the experience. And maybe come back and tell us what you think about it! 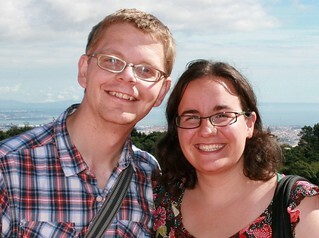 This entry was posted in Things To Do and Sights and tagged couple, going out, HUmlehoj, pool, sauna, things to do by Ann. Bookmark the permalink.